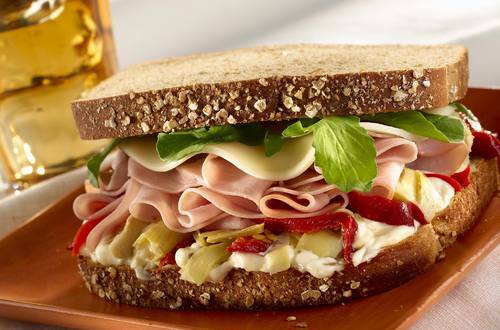 The simple addition of a few ingredients turns a ho-hum sandwich into an amazing one. 1 Evenly spread Hellmann's® or Best Foods® Light Mayonnaise on 1 bread slice, then top with artichokes and Italian peppers. Layer with remaining ingredients, then top with remaining bread.